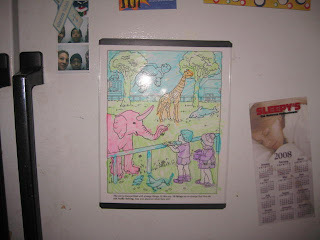 Welcome to Post #3 and Contest #2 for the Summer Soiree' here at A Simple Kinda Life! This one's all about the Kids! MagnaPlay is a great online store with a wide variety of products, from reusable coloring puzzles to Magnetic Travel Toys. MagnaPlayTM strives to educate children and facilitate their creativity with its innovative educational activities. 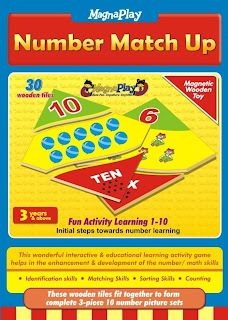 From learning the alphabets and numbers to coloring, word games and puzzles, MagnaPlay offers fun activities for children of all ages. Our main product MagnaKaseTM, a Magnetic Activity and Storage Case, was developed to fill an existing need in the toy industry and has a Patent Pending. MagnaPlay also manufactures a line of accessories designed for use with the MagnaKase. MagnaPlay was founded by a Mom who understands the importance of safety and quality when manufacturing educational toys for children. Child safety is our utmost priority. We have all seen headlines of recent recalls of millions of toys by companies such as Mattel, Fisher-Price, RC2 Corporation (Thomas and Friends toys) and others because they either had tiny magnets that could get detached and be swallowed by children, or contained lead-paint hazards for children. MagnaPlay guarantees the safety of its products as they are assembled in the United States and are tested by an accredited third party testing lab. MagnaPlay Toys are certified to comply with the Consumer Product Safety Improvement Act (CPSIA) of 2008. We take great pride in our company, our commitment to customer service and in the products we sell. Our online store is designed to provide you with a safe and secure environment to browse through our products and place orders. We offer a 100% Satisfaction Guarantee as we are confident about the quality of the products we manufacture. MagnaPlay is dedicated to manufacturing innovative and creative activities that will enable children to learn while having fun, anywhere, anytime. * To manufacture safe, high quality educational activities for children to aid their development in a fun way. * To provide excellent service to our customers and stand behind our 100% Satisfaction Guarantee. * To be more socially responsible by using eco-friendly material as much as possible and by helping children in need. 5% of their profits will be donated to a Children's Charitable Organization. 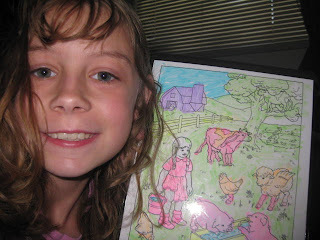 By purchasing MagnaPlay products you can have the satisfaction that you are helping Children in need. 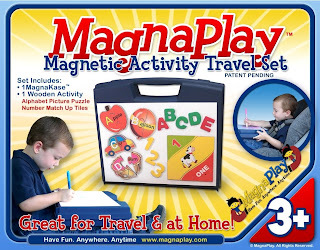 MagnaPlay has generously offered to give away one of their MagnaColerazeTM to one lucky reader! To enter, Go to the site, and have a look around, then come back here and tell me in the form another item that you would love to have! Remember to enter the giveaways at Moody Mama Says and Everyday Baby Steps for extra entries! Stop by tomorrow for more fun!